This last blog entry for the month (and the year!) is an Afterthought to my previous post, To Become a White Ally, about things that white people can do now to end racism. 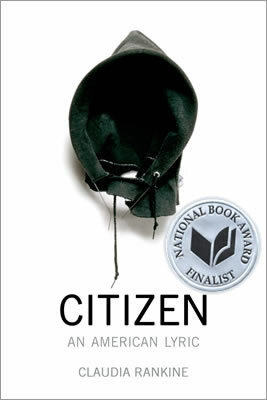 Thank you to Washington State Poet Laureate Elizabeth Austen for another title to add to diversify my reading – Citizen by Claudia Rankine. This new collection of poems, essays, and images is described as a testament to the individual and collective effects of racism in our contemporary, often named “post-race,” society. Until I receive a copy of the book, I’ll read (and listen to Rankine read) one of the poems, “You are in the dark, in the car…” I hope you’ll join me. “…being locked in and coded on a cellular level”–that’s us. That is we Americans. And until we figure it out, not much will change. Connections like this one help. I wish I could share this with students; maybe I’ll pass it on to some friends still in the classroom. I hope you will pass this on to teacher friends, Gretchen. This reading is opening my eyes to how ingrained racism is; I hope that’s a first step (or at least A step) toward change. I have much to learn.